When you chat with Trey and Christie Buckminster about marriage, parenting and their general outlook on life, a theme emerges: faith. Both were born and bred in Oklahoma, Trey in Enid and Christie in Choctaw. They were drawn to each other through their shared Christian faith and were married in 2004. 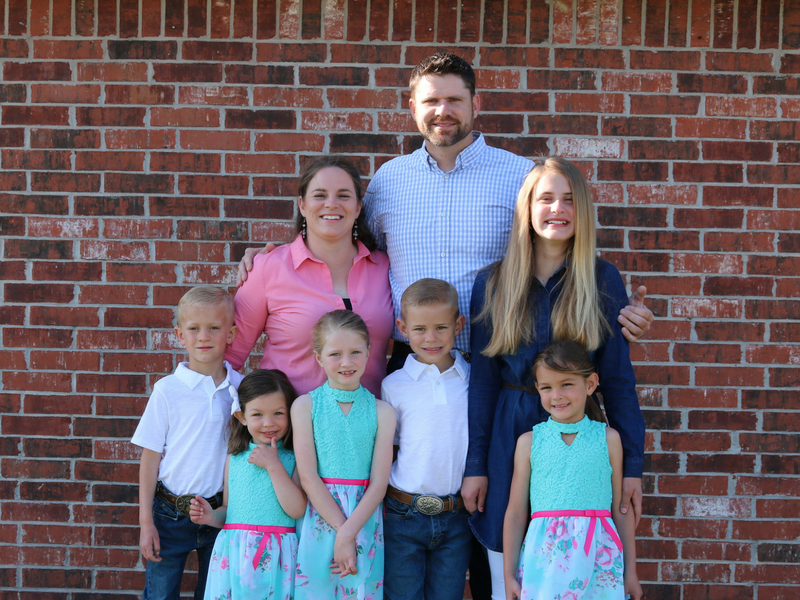 They live near Perkins, OK on the Lions Meadows of Hope campus, raising six kids and relying on God’s love and the power of prayer to guide them and their children. But before they were a family of eight, Trey, Christie and their two biological children, Abby and Hoyt, lived in Enid. The idea to foster was planted at church, both through ministry outreach to a young, single mother and through a message about the significant need for foster parents in Oklahoma. After hearing this, Trey and Christie both left church feeling a burden for children in care. Weeks went by and neither said anything to one another about fostering. But as time passed and Trey’s thoughts continued to come back to children in need, he brought it up to Christie. She hadn’t stopped thinking about the children either. So they prayed and ultimately found that the Lord was calling them to become foster parents. On the very same day they were approved by the Oklahoma Department of Human Services to open their home, the phone rang and the Buckminsters welcomed two little ones, Levi and Julie – a pair of siblings who were now on their 12th placement. Just five weeks later they also accepted two sisters, Macie and Kamie. Even moving once is challenging for a child, let alone 12 times. Faced with that level of unpredictability, one of the children in their care felt nervous riding in the car for more than a few minutes. Trey and Christie learned to reassure that they were only running errands or going on a short day trip and would return home soon. Over time trust was built and now the child loves going on trips and is an excellent traveler. A couple of years later, Trey learned about Lions Meadows of Hope from Tom, a former DHS case worker. Trey was skeptical and thought a campus of homes and that level of support sounded too good to be true. When he got home that night and told Christie about what he’d heard from Tom, she found information online and dispelled Trey’s doubts. 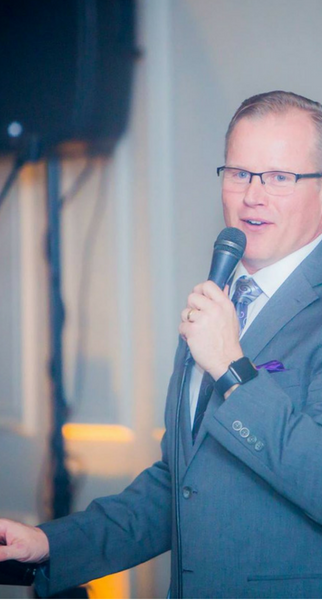 After a call with executive director, Bryan Larison, and a realization that they already met the housing requirement by fostering four children, the next thing they knew they were moving onto campus. In Enid, they didn’t have foster care resources or support, but at Lions Meadows of Hope they are surrounded by a community of families just like them. On February 1, 2016 the Buckminsters adopted Levi James Buckminster and Julianna Marie Buckminster. The following year, on September 27, 2017, they also added Macie Dawn Buckminster and Kamie Elizabeth Buckminster to the family. These days the family of eight can be found fishing, kayaking, caring for their animals, gardening and spending time together at church. Trey is busy building Lions Meadows of Hope’s horticulture and animal husbandry program and looks forward to helping parents and children connect doing things they both enjoy, whether that’s working with the animals or in the community garden.